The Bahamas Ministry of Tourism & Aviation has announced the highest number of international arrivals ever, resulting in record hotel occupancy levels. The world’s largest car rental provider, Enterprise Holdings, today announced that its Enterprise Rent-A-Car, National Car Rental and Alamo Rent A Car brands are now available in Finland with the official opening of nine new locations across the country, including a new site at Helsinki Airport. Although 'adventure travel' is still at an early stage in the Chinese market, China is expected to become a driving force within the adventure travel sector internationally as recent findings of the ITB China Travel Trends Report revealed. Japan was the fastest growing overseas destination for Australian travellers in 2018, recording a 17 percent increase on 2017. 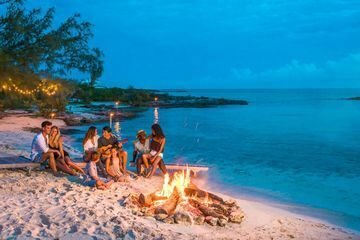 According to a recent AAA Travel survey, nearly 100 million Americans – 4 in 10 U.S. adults – are planning to take a family vacation in 2019, slightly more than last year. Spring and summer road trips will top many of these families’ vacation plans. The 500 Baht entrance ticket to the Grand Palace in Bangkok, Thailand now includes a Khon performance at the Sala Chalermkrung Royal Theatre. While neighboring Spain often steals the limelight as a foodie destination, Portugal shouldn’t be overlooked. Michelin has recently awarded three restaurants in Portugal with their first star. The country now boasts twenty restaurants with one star, and six with two stars, demonstrating that exceptional cuisine is served in restaurants across the nation.